The simple fact is that research and studies have been done which prove that women who take supplements get pregnant faster and have better pregnancies. Here’s a great example: The Journal of Reproductive Medicine conducted a study in 2004 which showed a correlation between fertility supplements and pregnancy rates. The double blind study (in which neither the researchers nor the subjects knew who was taking placebo and who was taking the fertility supplements) conducted at Stanford University, involved thirty women between the ages of twenty-four to forty-six, who had not been able to conceive. After five months, five of the fifteen women taking fertility supplements conceived, while there were no pregnancies in the placebo group. In fact, research and clinical practice come down on the side of fertility supplementation for both aspiring parents. Regardless of which one of you has been diagnosed with an imbalance, increasing both partners’ level of health has been linked with higher pregnancy rates. This is of course common sense—the healthier the genetic material, the healthier the child. There really is no arguing against the fact that a healthy YOU makes a healthy little you! And because it takes 3 months for your eggs to mature, starting to take supplements at least 3 months before you conceive improves the quality of your egg to be ovulated and fertilized. It’s also important to note that while supplements don’t replace a healthy diet, they sure as anything help with keeping your health consistent. Especially if you find yourself nauseous before or during a pregnancy and find it hard to eat, the supplements provide your body with the nutrients it needs to prevent miscarriage and provide you with a healthier child when you do conceive. In my clinical practice, I see it all the time. Results are significantly improved among those taking supplements. It’s likely you aren’t eating healthy enough and on a consistent enough basis. Even if you are, much of the foods you eat likely lack substantial enough nutrition due to modern agricultural practices. If you were getting enough nutrients, you wouldn’t have a problem, right? Getting pregnant and sustaining a healthy baby takes serious amounts of nutrients, so you really need to cover all your bases. Otherwise you end up wasting a lot of time and money. You may be concerned about the cost, but really, it’s worth the money. And as a bonus, you’ll likely feel a lot better in so many ways! And extend your life, while you’re at it. So it’s a pretty darn good investment. The quality of the supplements is extremely important. Otherwise you’re throwing money away and wasting the time and effort of downing a boatload of pills everyday. I like the brand Metagenics™ for most of the supplements I recommend. If you don’t choose Metagenics, be sure you use a brand that specializes in making supplements, uses organic products, and is research based. 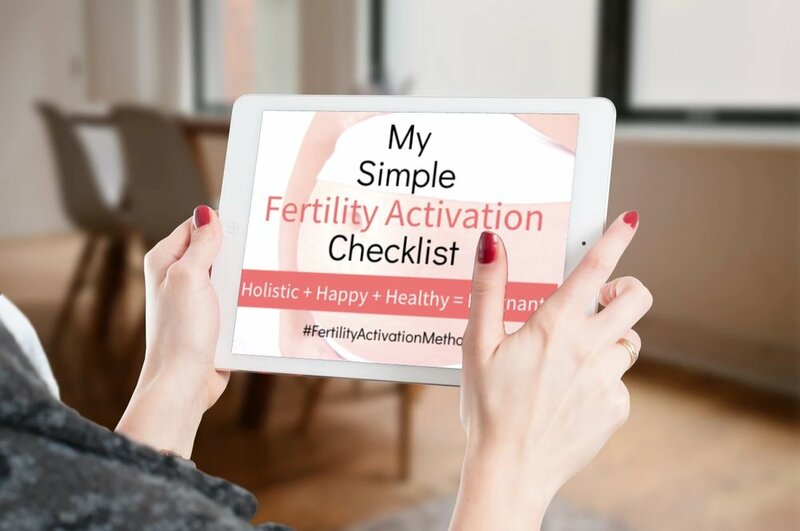 You can download my Free Fertility Supplement Guide here. The guide includes a discount code for 20% off your first order in my Metagenics™ supplement store.